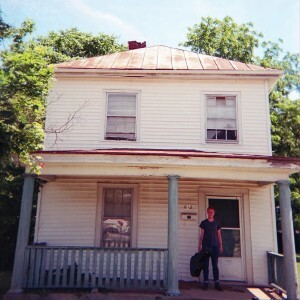 Daniel Bachman is a 22 year old musician born and raised in Fredericksburg, Virginia. He has been playing what he describes as “psychedelic appalachia” since he was a teenager, releasing small run editions of tapes, CDs and LPs for the past three years, with a sound that evolved from drones and banjos to a now guitar centered focus. Touring off and on since the age of 17, Bachman has managed to cover thorough ground across the US, sharing stages with like minded folk such as fellow Fredericksburg native Jack Rose, for whom he fashioned the artwork for the posthumous release of ‘Luck In The Valley’. His newest effort is the full length LP ‘Seven Pines’, sprung from a year living and working in the city of Philadelphia. The sound results in a combination of homesick worried blues and the ecstatic buzz of fresh experience and a new life in unknown territory. Familiar and known, but also seeking to access memories from lives past, dead and gone.